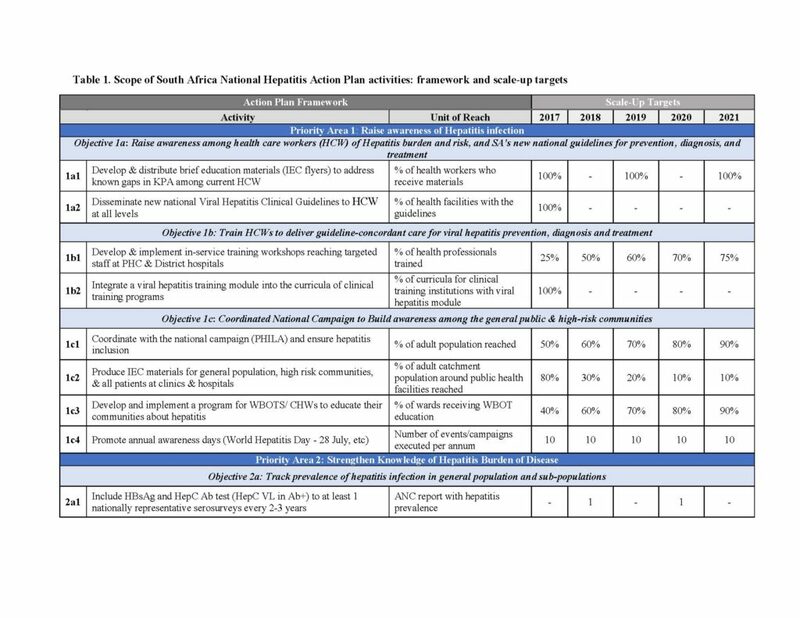 Since mid-2016, Pharos has been working closely with South Africa’s National Department of Health (NDOH) and local clinicians as they develop their national viral hepatitis prevention and treatment guidelines and five-year strategic plan for both HBV and HCV. 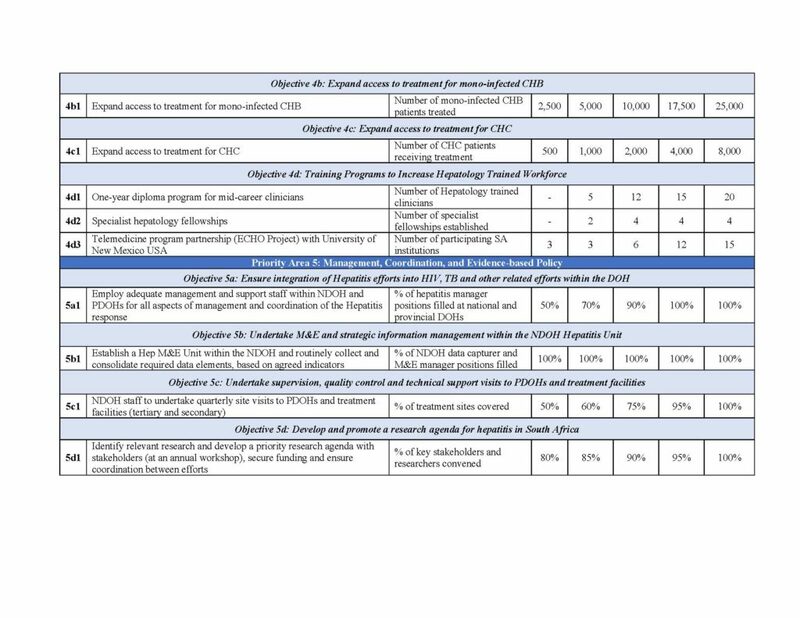 In particular, Pharos has been focused on the translation of these documents into a 5-year Action Plan. 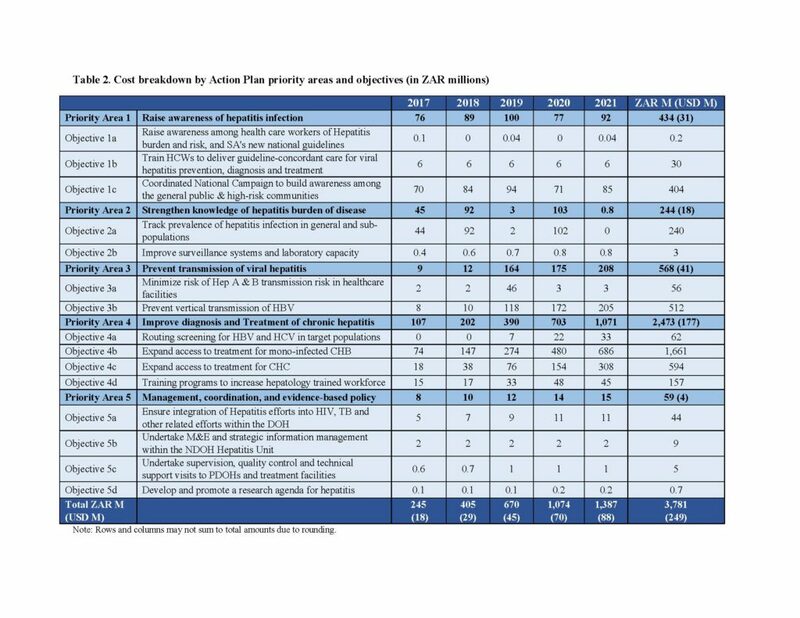 We developed the Action Plan using an investment case framework where we synthesized detailed costing, projected impact, cost-effectiveness analysis, and financing and budget impact analysis into a cohesive narrative that makes the case for why hepatitis investments would be affordable and reduce a significant burden of disease in South Africa. 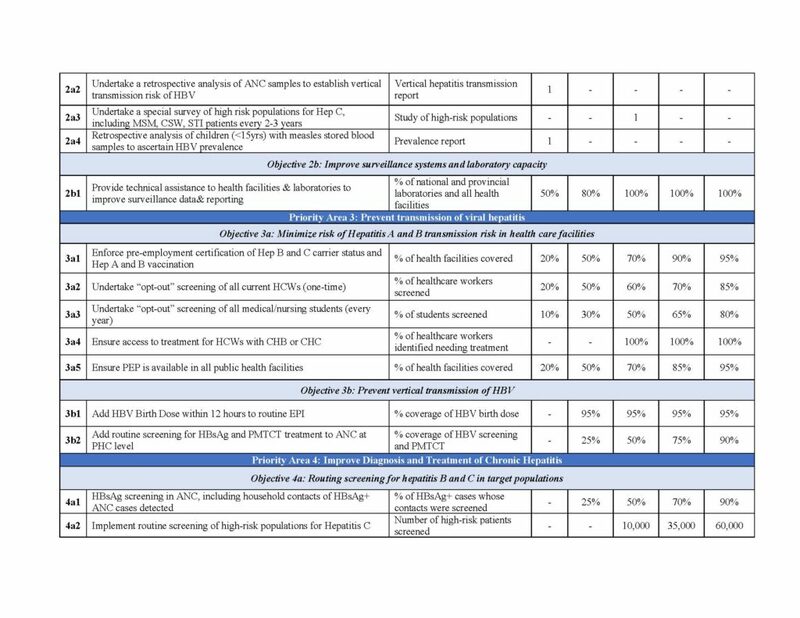 Pharos continues to support South Africa to make evidence-based decisions regarding hepatitis policy-making and programming, and to secure additional funding for launching a national hepatitis program in South Africa. 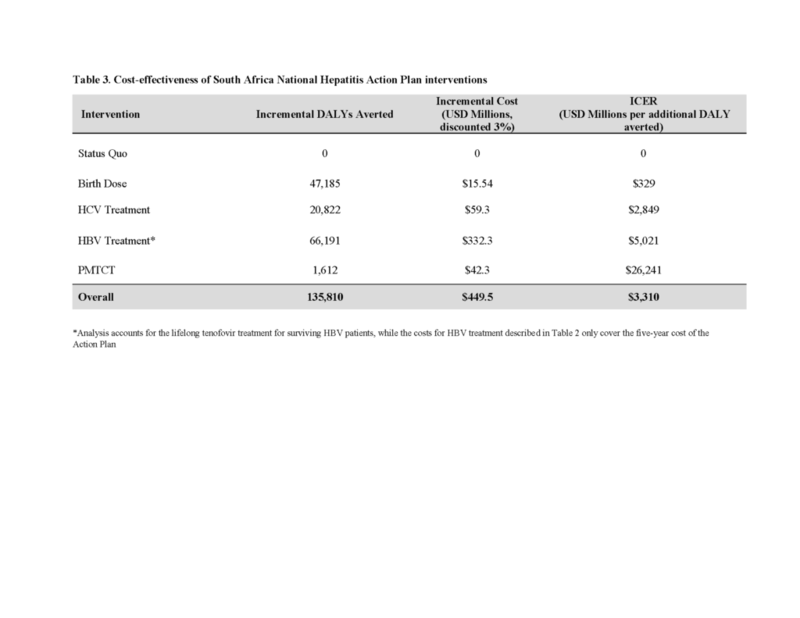 Please see our recent publication in Health Policy and Planning describing the investment case process and findings in South Africa. Below the tables from the publication are shown.